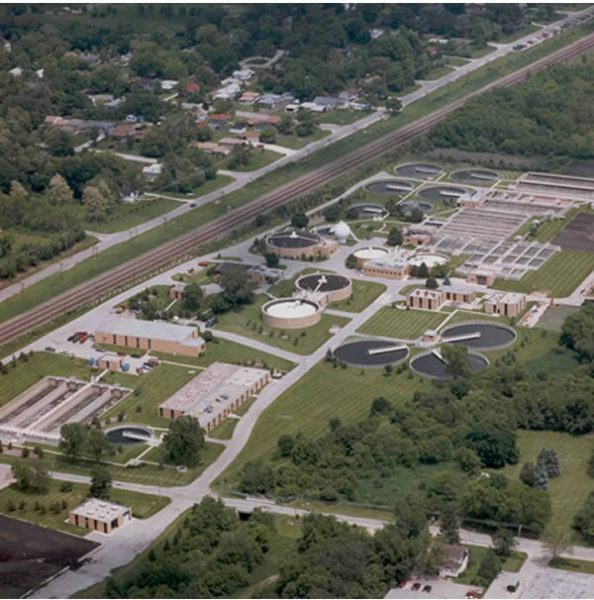 The goal of the Downers Grove Sanitary District’s wastewater treatment plant is to operate as a net-zero facility. What exactly does that mean? It means our plant is generating as much energy as it uses. The District has made numerous investments in energy efficiency and renewable energy generation over the past 10 years. Each investment has been considered on its own merits, and pursued with the intent of optimizing its operation and associated cost savings indefinitely into the future. 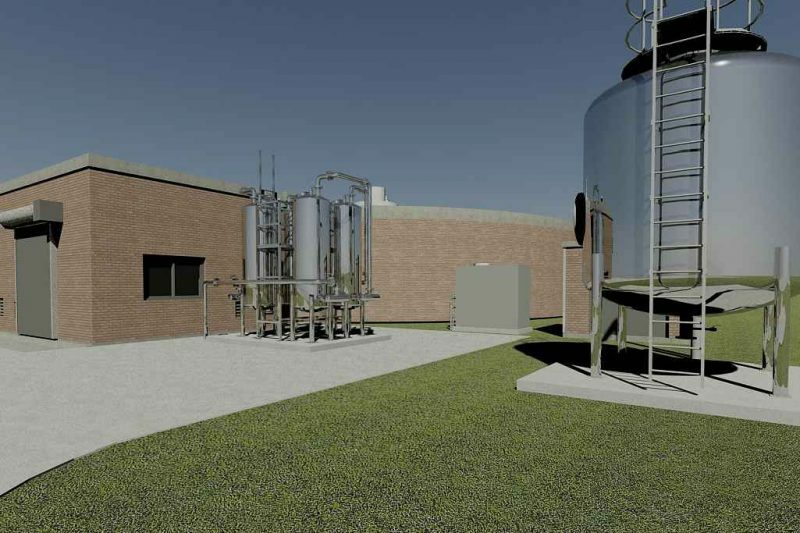 Highly efficient process equipment is coupled with the ability to extract and use energy available in wastewater solids. A facility that once used as much energy as 225 homes is now able to preserve valuable energy resources! *MWH stands for mega-watt hours. 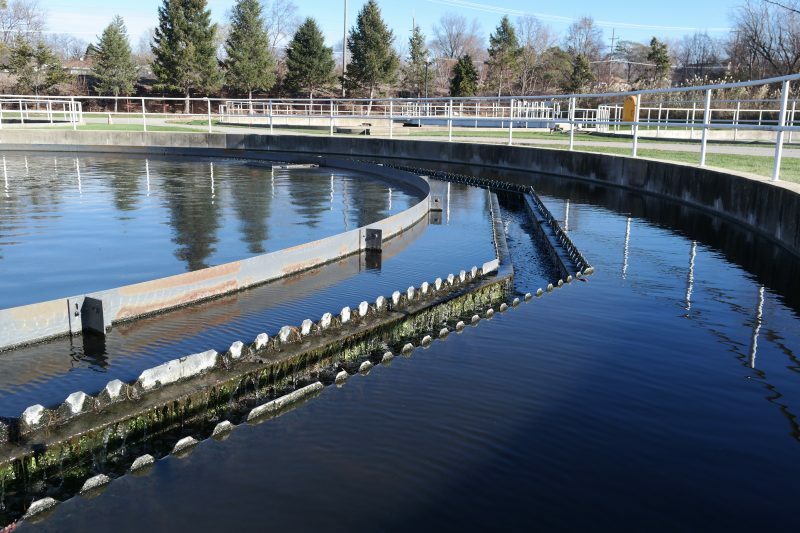 Wastewater treatment relies first and foremost on separation of liquids from solids. With solids removed, water is disinfected and the treated water is released to the East Branch of the DuPage River. 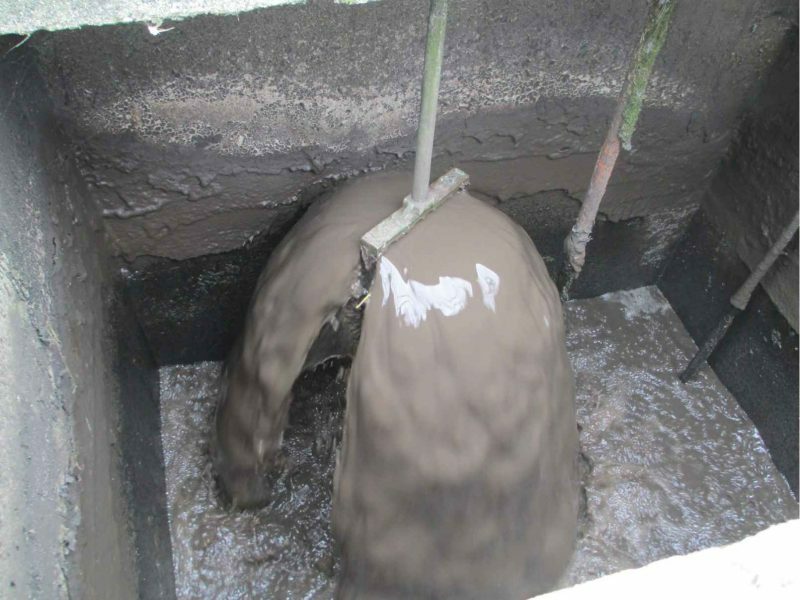 Solids are treated anaerobically to remove wastes and pathogens. This process generates a stable biosolid, which is used as a soil amendment. It also generates digester gas, a low energy content fuel with approximately 60% the energy content of natural gas. 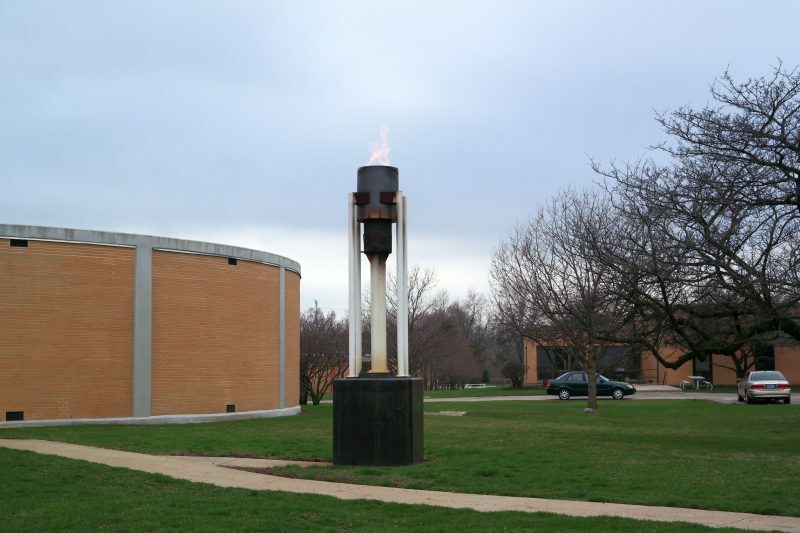 Previously, the digester gas was used for some process heating. Excess digester gas was wasted through a flare. The District installed improvements that allow them to recover the energy in the digester gas. In order to protect equipment and produce safe emissions, digester gas is treated to remove impurities like hydrogen sulfide, particulates, and siloxanes. 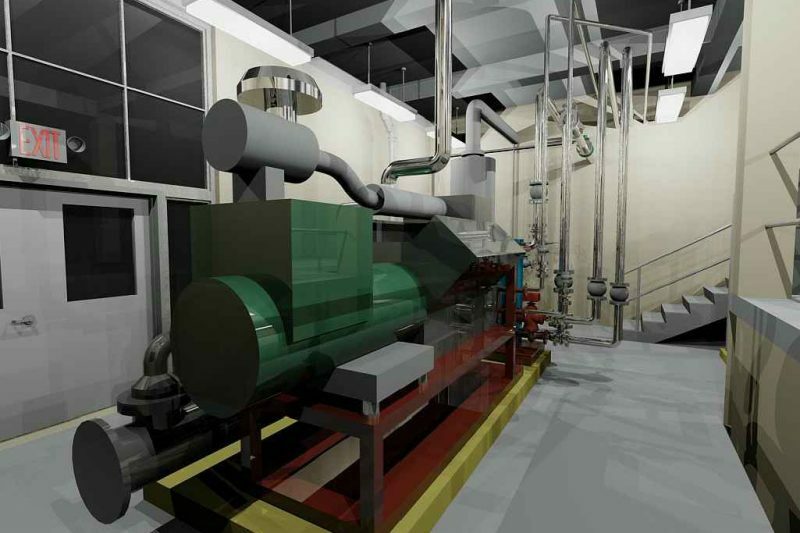 Treated digester gas is then sent to the Combined Heat and Power units for energy production. The Combined Heat and Power system pairs an internal combustion engine, similar to your car’s engine, with a generator. While your car engine may convert only 35% of the energy, the Combined Heat and Power system also recovers heat from the unit. This allows the District to capture as much as 80% or more of the energy put into it. The Combined Heat and Power improvements are capable of producing a total of 660 kW (the equivalent of 880 horsepower) in electrical energy. This, along with other major energy-efficiency improvements throughout the facility, will allow the District to operate as energy neutral. 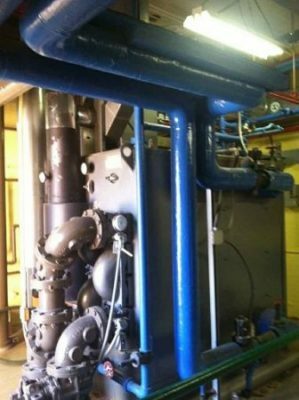 The Thermal energy recovered from the Combined Heat and Power units is used for process heating. 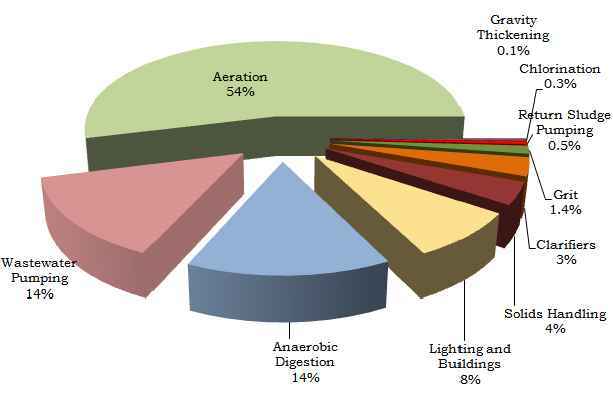 The anaerobic digestion process requires significant heat to operate efficiently. Wastewater treatment relies heavily aerobic biological processes. To maintain the healthy biology and provide mixing to the system, air is compressed and distributed to the wastewater. Air, however, represents one of the largest energy users at a wastewater treatment plant – with as much as 50-75% of the facility energy going being spent on this process. 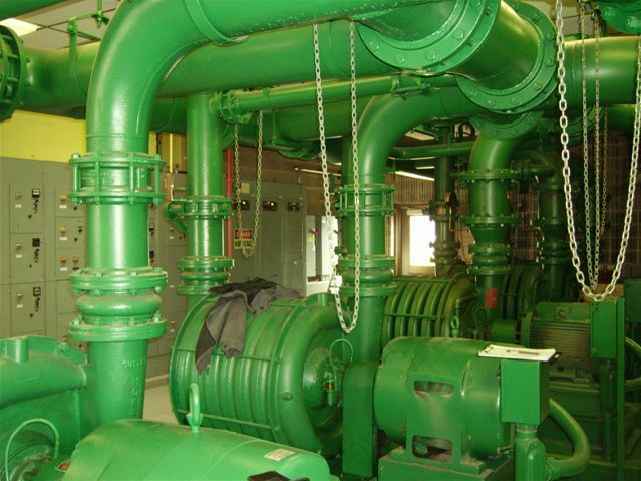 Traditional technology, multistage centrifugal blowers, have limited operational range. The efficiency of these blowers are 55%. The remainder of the power is lost to friction, which comes off as noise and heat. High efficient turbo-blowers with better than 80% efficiency include improved controllability. 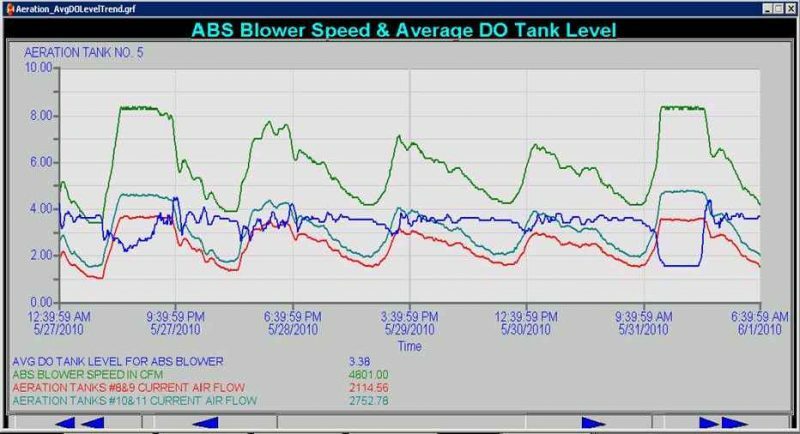 While traditional technologies often operated in “on” or “off” modes, the turbo- blower is controlled to provide just as much oxygen as is required based on in-tank measurements with dissolved oxygen probes. After air is pressurized, the air is transmitted to the treatment tanks and distributed through diffusers. The size of the bubble is the biggest factor as to how well oxygen transfers into the water. Fine-bubble diffusers were installed in place of old coarse-bubble diffusers, yielding smaller bubbles that transfer oxygen efficiently. Advanced control systems allow the plant to automatically adjust the amount of air provided to the process. This control system allows the plant to use precise amount of air on a 24-7 basis, providing significant energy savings, especially over night when the plant is un-manned. As the District continues to refine its processes and reduce energy, we have begun to change mainstream processes from a completely aerobic process to a system with partial denitrification. Denitrification relies on wastewater bacteria to consume nitrates, reducing total nitrogen in the effluent and reducing overall activated sludge energy demand. 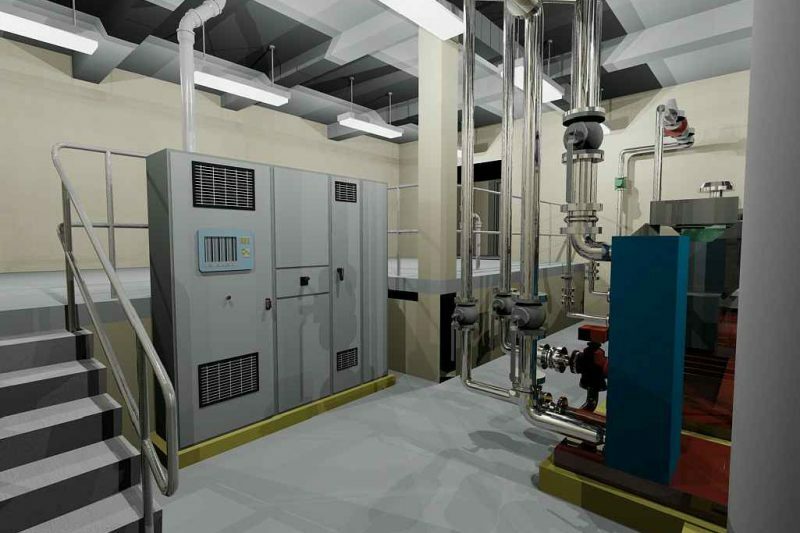 The District has a wide range of HVAC needs, from providing a safe environment for work spaces to process ambient condition needs. 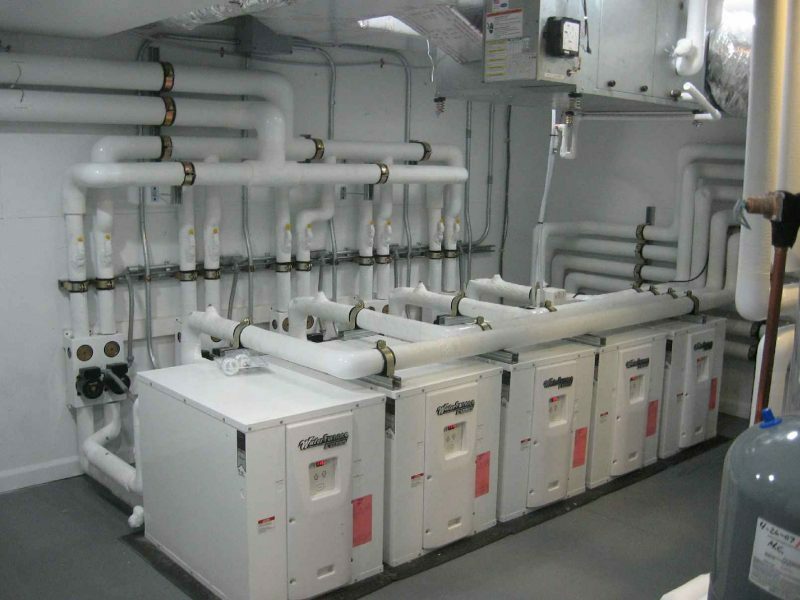 In commercial buildings, HVAC is often a major energy user. 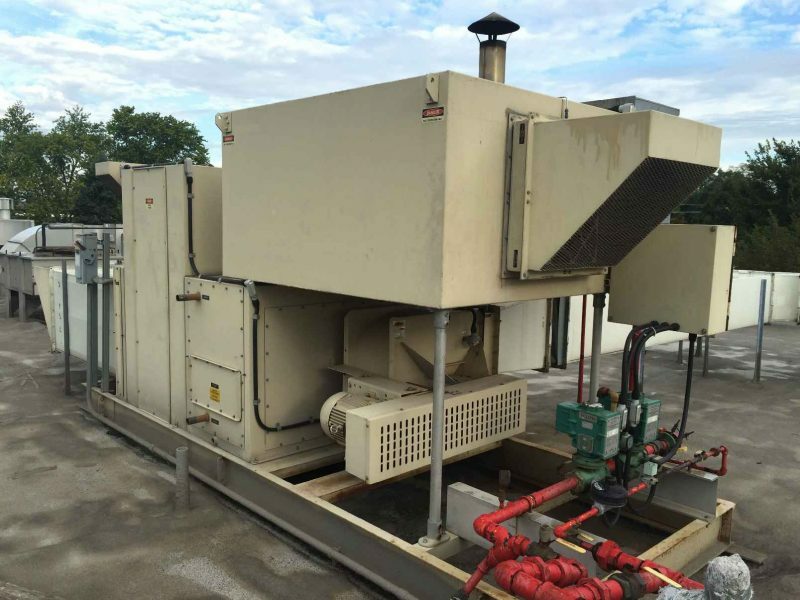 The District has made a concerted effort to minimize and manage the energy consumption of its HVAC systems. 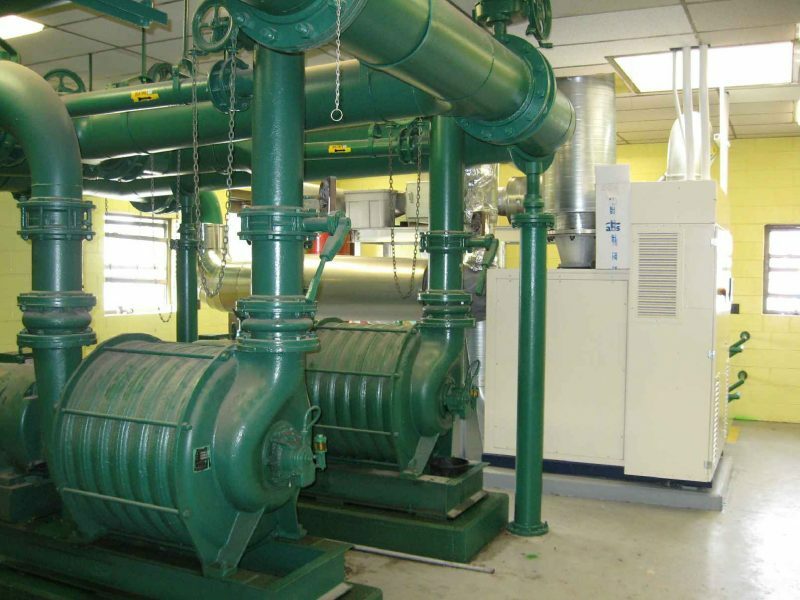 Absorption chillers use a thermal energy differential to provide chilling air to a space. 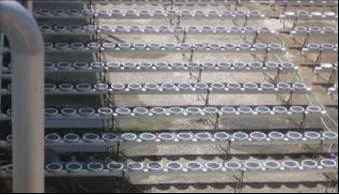 Absorption chillers fired with bio-gas offer a beneficial use of this renewable energy resource generated at the plant. The District operates a dessicant dehumidifier in its sand filter building. The sand filters are a notoriously corrosive environment. By providing a dessicant dehumidifier, it helps to minimize corrosion associated with the humid atmosphere. 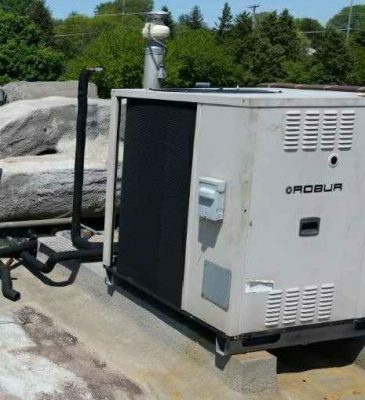 The dehumidifier is specially equipped to use bio-gas to regenerate the desiccant media, utilizing this source of renewable energy generated at the plant. 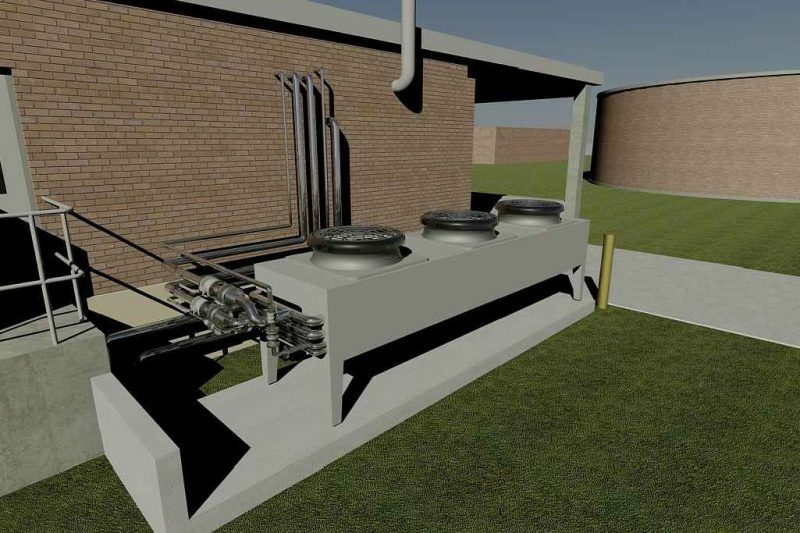 Geothermal heat pumps are another way for Downers Grove Sanitary District to beneficially reuse available thermal resources. Effluent water temperatures are consistently within the 55-75 degree range. With such a consistent and significant supply, heat can be transferred in or out of the effluent for highly efficient heating and cooling.